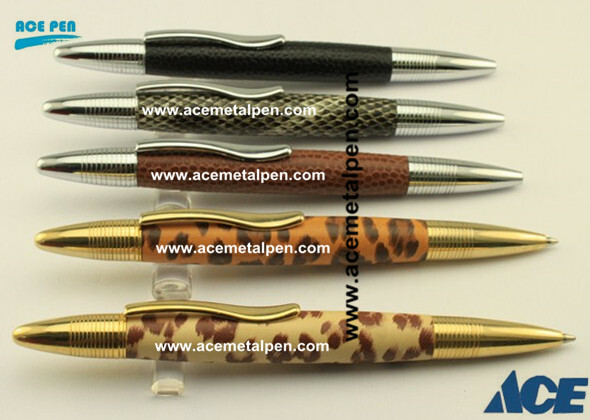 PU Leather covered ball pen in chrome/gold plating. Color of leather ball pen & leather pen: Black, Red, Brown,Green,Orange etc. Normal Packaging of leather pen: 1pc/op bag, 50pcs/inner box, 500 pcs/carton.